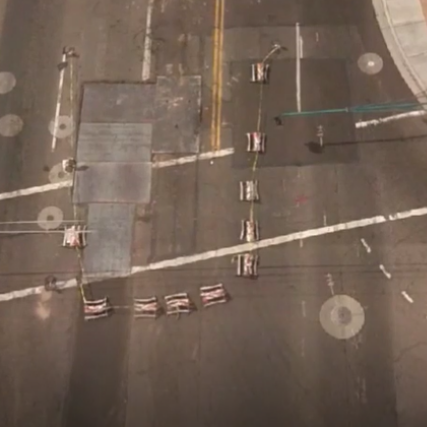 Recently, a change in roadway geometric features and pavement markings was implemented by Pima County, Arizona at one of their intersections. A drone was utilized to document the changes. Approximately 200 images were taken, and around 90% of these collected images were used to develop a 2D map of the subject location and a 3D model of the intersection (please see on left). The total flight time was approximately 20 minutes and the total processing time was approximately 10 hours. Two ATVs were involved in a collision on a dirt access route. 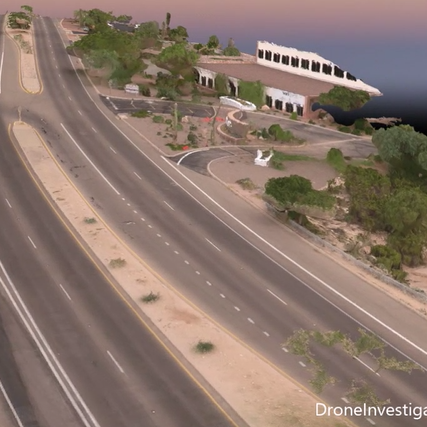 The Google maps aerial image did not provide sufficient information about the roadway geometric features at the collision scene, so a drone was deployed to collect aerial images. The acquired images were utilized to create a to-scale 2D map of the incident location. A 3D model of the collision scene was also created to depict sight distance limitations, as well as other roadway geometric features. 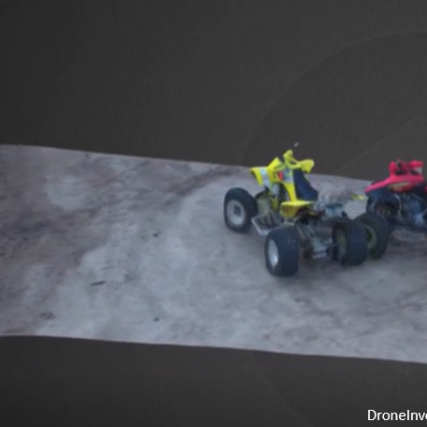 Finally, the collision scene was recreated by adding two example ATVs, and a 3D model was developed to reconstruct the subject collision (please see on right). Approximately 130 images were utilized to build the 3D model. The difficulties associated with this project were the close proximity of trees, a high wind speed, and the overall limited flying space. Mapping of the placement of Temporary Traffic Control (TTC) devices at a construction zone was requested. A satellite image of the construction work and the area in which the TTC devices were placed was collected from Google maps. However, the quality of the satellite image depicting the area was poor and it was taken months prior to the subject construction zone activities. 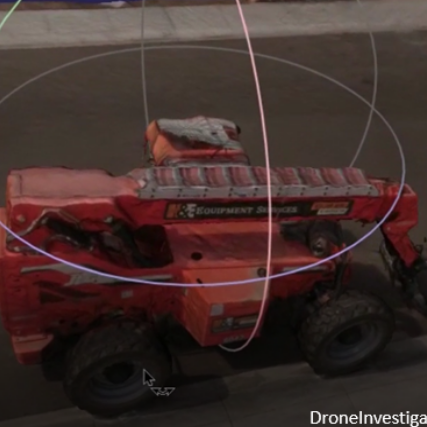 A drone was used to collect images of the TTC devices’ placements. 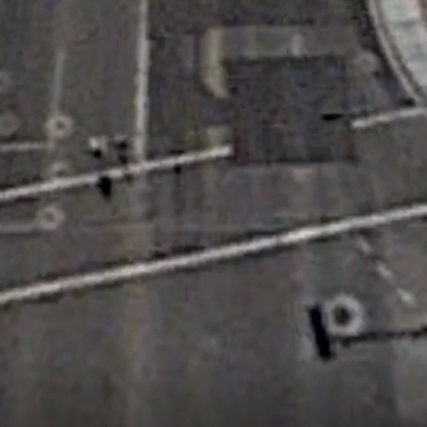 A 2D aerial mapping model (please see above) was developed to depict the exact location of each TTC device. Also, a 3D model was built (please see above). This was a continuation of the above project. Specifically, the task was to scan and develop a 3D model of one of the pieces of equipment being used at the subject construction site. This equipment was photographed using a drone and a 3D model of the equipment was built (please see on right). A total of 180 images were taken in a total flight time of approximately 35 minutes. This project represent a dirt county maintained roadway in the before/current condition (no improvements) and present possible future condition after pavement marking and asphalt surface overlay. Similar project can help your organization to visualize future roadway improvements.